Creative, but I'd be nervous watching my phone roll away. 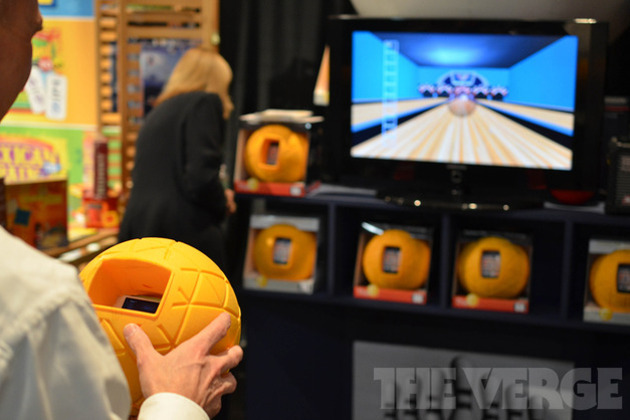 Physical Apps released its foam ball smartphone accessory at Toy Fair 2012 in New York this week, and we took the opportunity to play with the strange toy. It's called TheO, and it's about as simple as it gets — it's a soccer-ball size foam ball with a large slot in it that you can stuff your iPhone, iPod touch, or Android device into. Once you get your phone in there, it's pretty much indestructible (so long as you avoid water), and you can load up an accelerometer-based game and start playing your smartphone apps — physically.